Fans of East German cinema have asked me if there are any good books in English on East German movies. 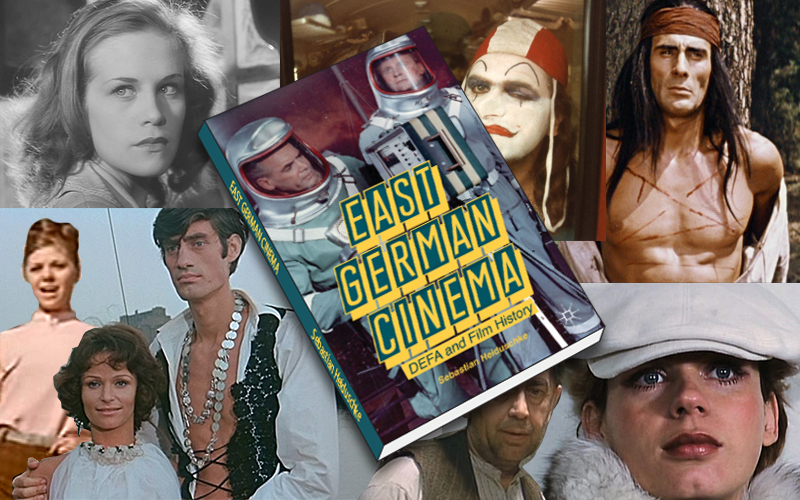 There is, of course, Defa: East German Cinema 1946-1992, edited by Seán Allan and John Sandford— a collection of essays by some of the world’s leading East German film scholars, including Barton Byg, Christiane Mückenberger, Rosemary Stott, and and many others, but the Allen/Sandford book has been around for several years now. A few other books tackle DEFA films in the context of German film history, but there are precious few English-language books that focus their attention on the films of the GDR exclusively. Enter Sebastian Heiduschke’s East German Cinema. I’ve known Sebastian for a few years now, and I can vouch that he is a veritable font of information on East German movies. He is one of the go-to guys I turn to when I’m stuck on a question that I can’t answer.1 For purposes of this review, however (and he case he needs quotes), I’m going refer to him as Mr. Heiduschke from here on out. If you are regular reader of this column, you already know that East German cinema is a complicated subject. You can never discuss a movie without dragging history, politics, cultural differences, and daily life into the mix. One of the bonuses of exploring the films in blog form is that I never have to worry much about these issues; but as I try to reshape all of this data into a readable book form, I realize just what I am up against and it’s not pretty. Without the advantage of an on-going blog, Mr. Heiduschke had to find a way to present all this information in a coherent and linear fashion and he’s done a good job of it. The book is divided into two parts. The first part is an overview of the development and eventual dismantling of DEFA (East Germany’s state-owned film company) In this section he touches on the major events that shaped East German cinema (e.g., the 11th Plenum). The second half of the book examines popular East German films. Rather than try to cover every film out there, Mr Heiduschke chose to focus on twelve DEFA films that represent important milestones in East German history, starting with The Murderers Are Among Us, which was made before the GDR was even a country, and ending with The Latest from the Da-Da-R, a satirical film made by DEFA in the dying days of the socialist republic. Through these twelve films we travel the rocky road of DEFA history as every few years the government capriciously redefined its restrictions on what could or could not be filmed. Each chapter in part two tackles one film, one genre, and one point in time. Inevitably, this approach comes with inherent limitations. It’s hard to do justice to Gegenswartfilme (films that deal with contemporary subjects) when you’ve restricted your chapter to a juvenile delinquent film from 1957 (Berlin – Schönhauser Corner). It also means that some truly important films that probably deserve chapters of their own are discussed only in passing—Coming Out, for instance, one of the most daring films to come out of East Germany, is barely mentioned. Also, the films discussed are restricted to the films that the DEFA Library at UMass Amherst has already released with English subtitles (more on this later). It’s an understandable choice, but it means that some classic examples of East German cinema are left undiscussed. 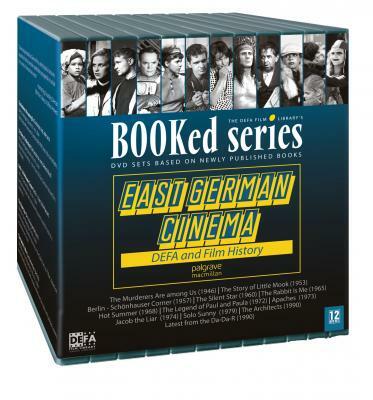 >Nonetheless, East German Cinema is a valuable book with plenty of information and some good insights into the films of DEFA. I even learned a few things myself and I spend hours every day with this stuff. The book also includes an impressive bibliography and is thoroughly footnoted. Included in the appendices are lists of DEFA film that are available with English subtitles and the ones without. As an added bonus, the DEFA Library at UMass Amherst has put together a 12-DVD set of the films discussed in the book. At $230, it isn’t exactly cheap, but the same films would cost you almost $70 more if you bought them separately. Between the DVDs and Mr. Heiduscke’s book, you have as good an introduction to East German cinema as anyone could hope for. The others are Barton Byg, Evan Torner, Seán Allan and Hiltrud Schulz. Technically, Hiltrud is not a guy, but I’m using the modern vernacular here. I’m flattered that I’m in your circle of go-to guys, Jim. But we’re also going to turn to you: Henning Wrage and I will be asking for your help in just a little bit. Hands Up or I’ll Shoot!